You might mistakenly think that having a salad means not eating much at all. If so, here I will surprise you! 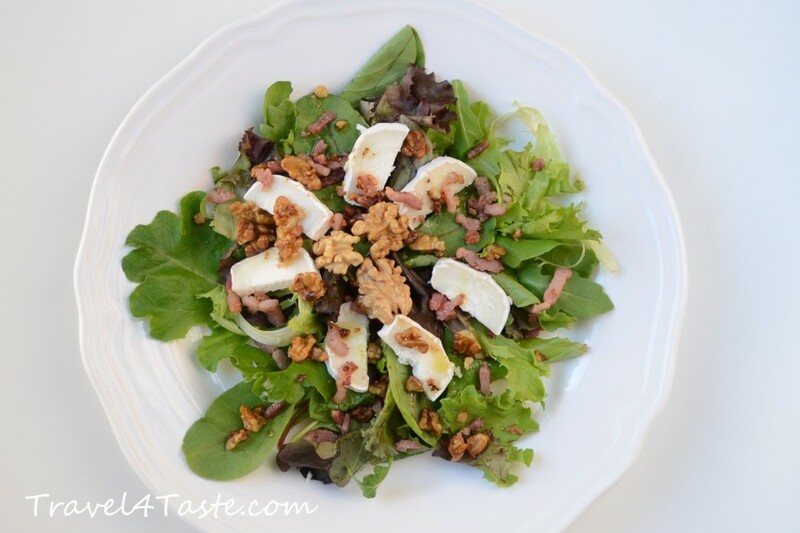 This salad is made with the creamy & salty goat cheese and served with still warm fried bacon and walnuts. It takes only few minutes to prepare and it will definitely satisfy you for quite a while. However it is definitely much healthier than any fast food. 1. 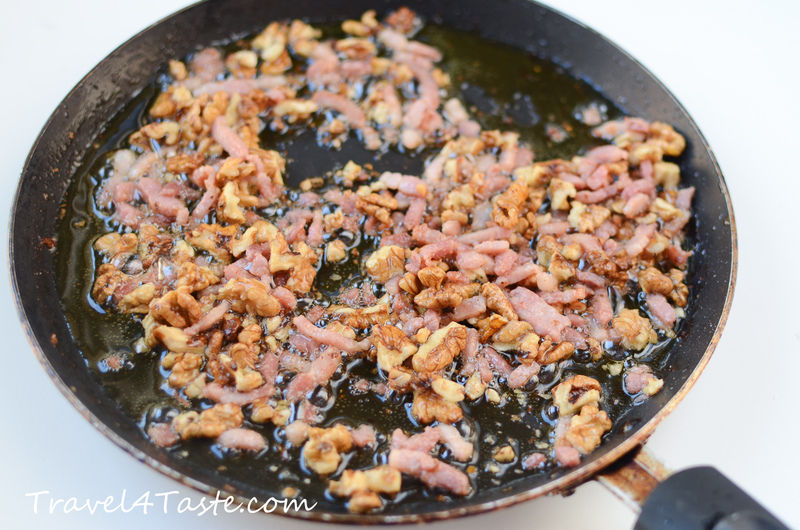 Fry the walnuts (crashed into little pieces) with bacon and olive oil until bacon gets a bit brownish. It should take 3-5min. 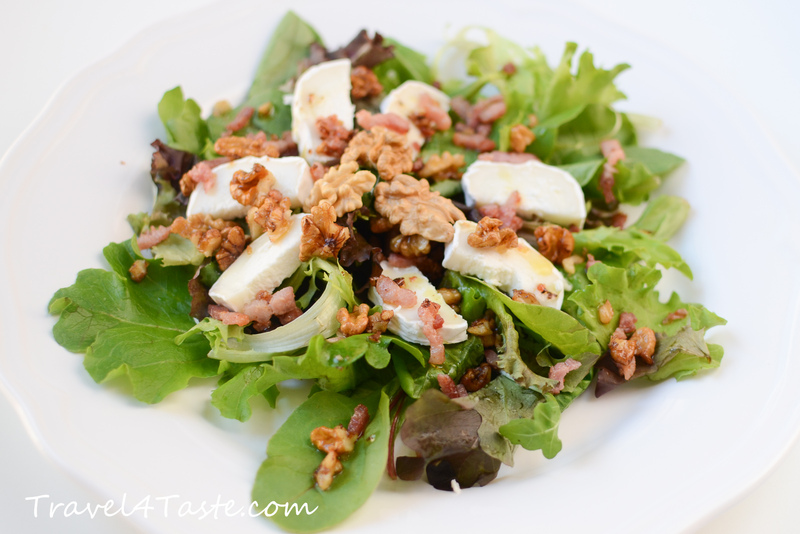 This entry was posted in Cheese, France, French cheese, Healthy, Salad, Salad and tagged c. Bookmark the permalink.